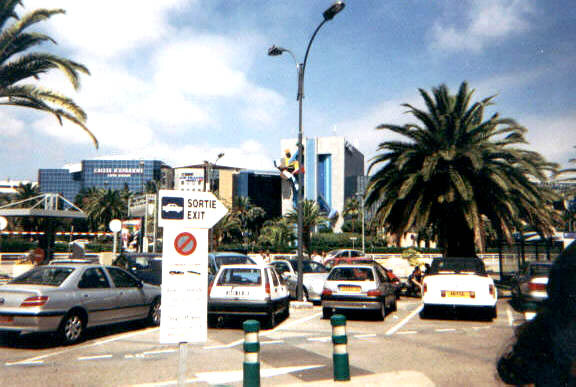 The main street Promenade des Anglais is world famous. (The name means "promenade of the Englishmen".) 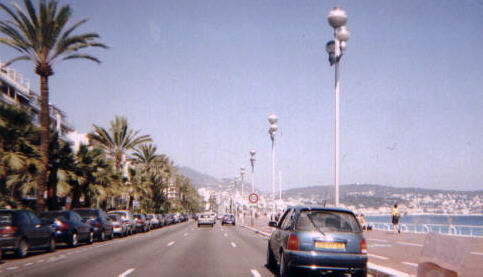 The beach promenade runs along the coastline through the whole Nice to far outside the city borders. The legendaric Hôtel Negresco is kind of like the centerpoint of Promenade de Anglais. Negresco is the Riviera´s most famous and most luxorious hotel. This is Nice´s harbour, situated on the eastern side of the rock (and therefore closer to Italy). From this harbour, you can take the ferry to Sicily. 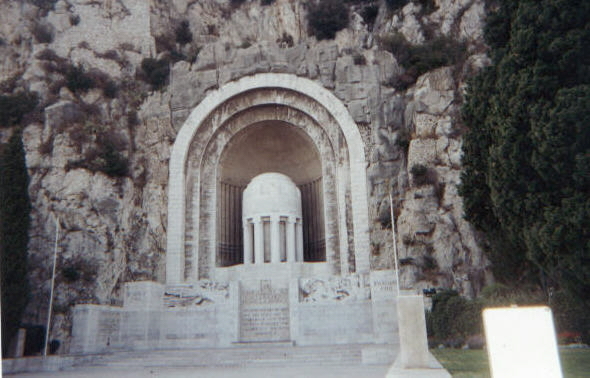 In this hugh rock is a memorial of those who died in World War II. It is impossible to miss, because it is located right by Promenade des Anglais, in the corner between the old town and the harbour. Place Massena. This hybrid between a park and a very large square is in my opinion Nice´s most beautiful place, absolutely fabulous. Beautiful sculptures, palms and fountains make this place an oasis in the big city. This is together with Promenade des Anglais one of the few places that looks like what you expect from a city with a reputation like Nice. French people don´t like highrises. Therefore there is just one skyscraper in the Nice. 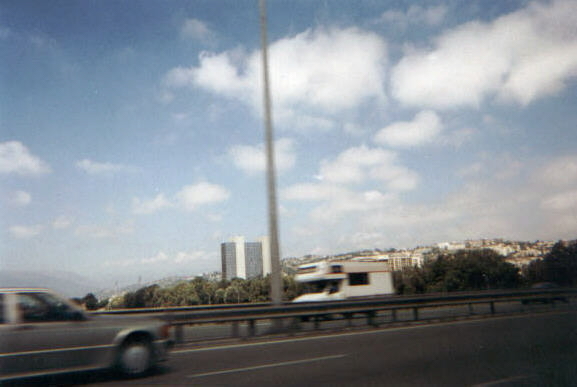 It is the one in glass in the picture, not so tall and located in the outskirts by the highway. And because Nice doesn´t have any tall cathedral or TV tower, the skyline looks pretty week. But in return, the nature that surrounds the city is amazing. I mean, Nice is situated between the Mediterranean sea and the Alps, and there is even a high rock in the city. Nice-Côte d´Azur International Airport is France´s largest airport outside Paris and is built on an artificial island because of the lack of land to build on in the mountains. This is were I arrived and left both 2001(travelling with Goodjet) and 2002(travelling with SAS). The hotel/office complex in blue glass is situated right opposite the main terminal and include some of the few large modern buildings in American style. 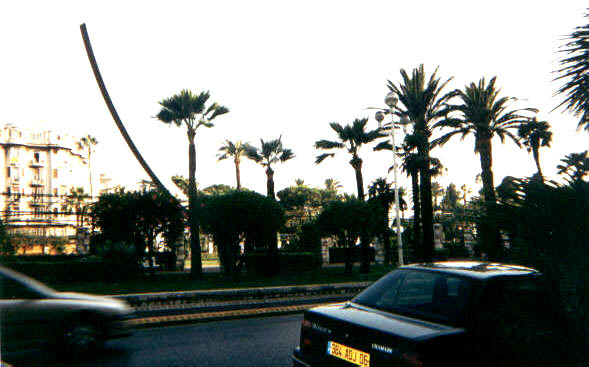 If the cars wouldn´t so small (I don´t mean the Rolls-Royce in front of the palm), it could be California. 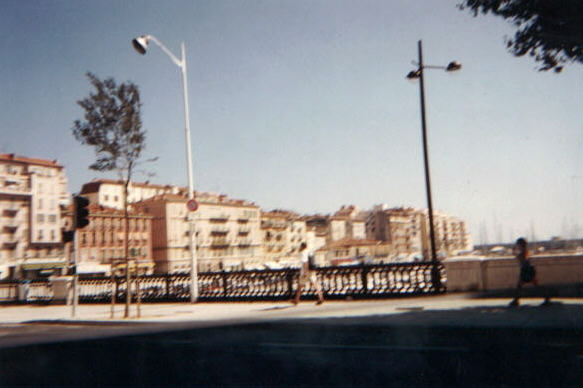 I visited Nice at several occasions in August both 2001 and 2002. France´s 4th largest city is also the hub of the Riviera, and that is where you arrive if you go by plane. The huge amount of rich tourist is the reason why luxorious hotels and expensive restaurants are very common. In the city center, there is many beautiful buildings, fountains, squares, palms and parks. The strand promenade is world famous and the beach very popular. And the surrounding nature is stunning, Nice is situated just between mountains and the seas. But that is the tourist´s aspect. Nice is not only nice, the city has much more negative aspects than you would expect. The crime rate is very high, the traffic is very heavy, many of the streets are little bit dirty even in downtown and most of Nice´s residents live in shabby apartments. So even if Nice is the largest city on the Riviera, it is not the richest.